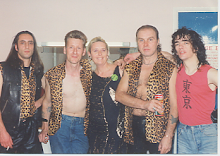 at Warrens Railway Hotel, Harrow, on November 8th 1997. 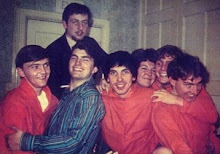 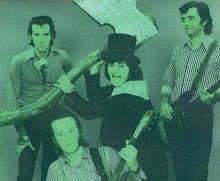 Paul Green, who’s now a succesful and prolific records producer, was one of the last musicians who had worked with Screaming Lord Sutch during the last two years of his life, from 1997 to 1999. 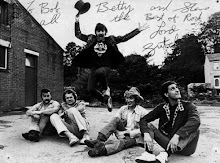 Although he started out in the mid 60’s with various outfits such as The Boothy Jones Collection, The Ashley Ward Delagation (which featured Tommy Ross whom he’s produced the last album), then joined great names of the 70s, Suzi Quatro, Porky. 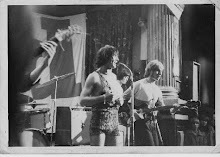 Later he backed some british Rock pioneers with Solid Gold. 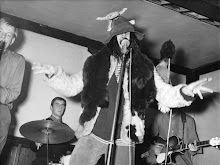 He was a great friend of Tony Dangerfield, one of the long serving Screaming Lord Sutch’s sidemen and the main frontman of the Savages after his death. 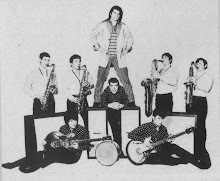 They played together in various versions of The Tony Dangerfield or Greenie Big Band since 1979 and throughout the 80s and 90s. 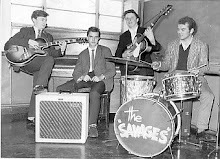 Certainly one of the last true Rock’n’Roll Band. 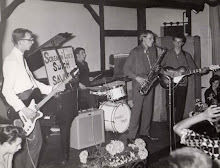 And in the Family Green, great talent for Music is hereditary: Lucy, his daughter has also composed some of the greatest songs of his last release. 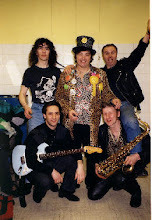 Paul joined up with Tony Dangerfield again in one of the last incarnations of Screaming Lord Sutch & his Savages in 1997 alongside former Glitterman Harvey Ellison on sax. 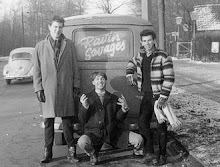 They toured together Germany, playing in Hamburg with other 60s veterans, The Pirates, The Remo Five, The Undertakers and The searchers. 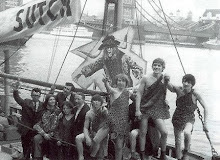 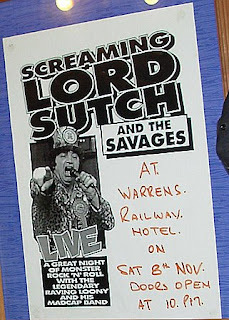 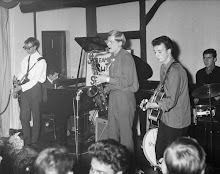 The performance at The Railway pub in Harrow was actually the last Screaming Lord Sutch’s official gig and also the last gig for this pub before they knocked it down.